It’s been almost 25 years since 79 year old Stella Leibeck bought coffee at a McDonalds drive-thru and suffered second and third degree burns when the coffee spilled in her lap as she was adding cream and sugar. After being hospitalized for 8 days, enduring skin graft surgery and incurring over $11,000 in medical bills, Stella offered to settle with McDonalds for $20,000, but McDonalds offered only $800. *Depsite these complaints, McDonalds had no intention of reducing the temperature of its coffee. After the Trial, the Jury found McDonalds 80% responsible and Stella 20% responsible for her injuries. They awarded her $200,000 in compensatory damages. In order to punish McDonalds and deter it from hurting more people with its dangerously hot coffee, the Jury also awarded Stella $2.7 million in Punitive Damages, which added up to exactly 2 days worth of McDonalds coffee sales. After trial, the Judge reduced the verdict from nearly $3 Million to $640,000 and the case was settled without an appeal. 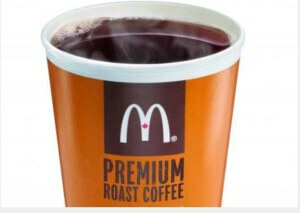 After the case, McDonalds changed its company policy to reduce the temperature of its coffee and prevent injuries. Rather than being a symbol of what’s wrong with our legal system, I think the McDonalds Coffee Case was exactly the opposite. It was a case in which an injured individual stood up to a giant corporation that created a danger to all of its customers and taught the corporation a lesson. At the same time, Stella and her lawyers helped make the world a little safer. 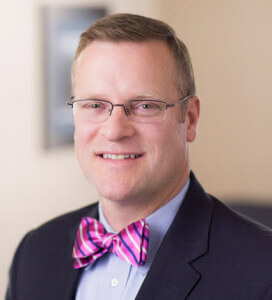 Tim Rayne is a Personal Injury Lawyer with the Chester County Law Firm MacElree Harvey, Ltd. For over 20 years, Tim has been helping injured victims of accidents in Pennsylvania receive fair treatment from insurance companies. Tim has offices in Kennett Square and West Chester. For a Free Evaluation of your Personal Injury claim, contact Tim Rayne at 610 840 0124 or [email protected] or check out his website at wwww.timraynelaw.com. What If Everything You Knew About The McDonald’s Hot Coffee Case Was Wrong? Is Amazon Liable for Selling Dangerous Products? What is a Deposition and Why is it So Important?